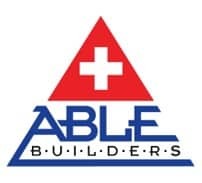 Count on the Pros at Able Plumbing, Inc for all your Hot Water Heater Repair Safety Harbor needs throughout Tampa Bay. Our Local Plumbers Safety Harbor team offer 24 Hour Emergency Hot Water Heater Repair and Replacement services to ensure that your family will have hot water as soon as possible. Once our Licensed & skilled Plumber arrives on site he can let you know if a Replacement Hot Water Heater for your Safety Harbor home is needed. Using our years of experience in Water Heater Repair and Replacement, Able Plumbing, Inc is able to help determine which Hot Water Heater replacement is right for your family. We are able to install almost any type of Water Heaters including Tankless Water Heaters. Choosing a proper Hot Water Heater Replacement in Safety Harbor can be confusing. Trust in our expertise and guidance to ensure your family chooses right! Scheduling regular maintenance is important for any type of Hot Water Heater Safety Harbor unit, whether it be a traditional tank or tankless. Our Hot Water Heater repair professionals can provide the service you need to keep your tank-type, hybrid and tankless water heaters in Tampa Bay working at their optimal best.